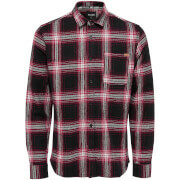 Men's long sleeve, patterned shirt from the Originals collection by Jack & Jones. Crafted from pure cotton, the slim fit 'Mutough' shirt comprises a button-down collar, a button front placket and a curved hem. 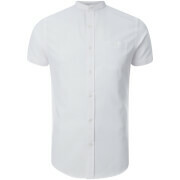 Features a tonal chest patch pocket with a branded tag. 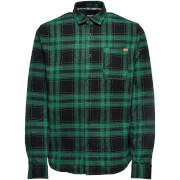 Complete with a back yoke and split buttoned cuffs.